Several projects involved the use of simulations. The Simulation and Modeling in Technology Education is certainly the lead one. 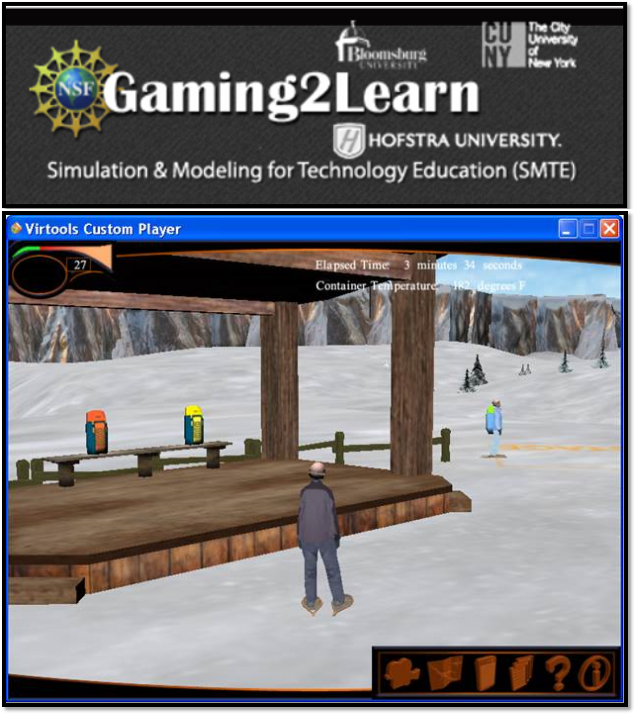 A commercialization of the project is found at http://www.gaming2learn.org/ . The Articulated Technological Education Pathways project has simulations within the curriculum, accessed from the Moodle version.